The injunction was requested by the family of Marla Bennett, an American who was killed in a terrorist attack at the Hebrew University in Israel while she was a student there in 2002, and who won a lawsuit in the U.S. against the Iranian government in 2007. In the 2007 ruling, a U.S. court found that the Iranian government bore responsibility for the attack that killed Ms. Bennett because of support it has provided to Hamas, the group which carried out the attack, and ordered it to pay the plaintiffs nearly $13 million US. 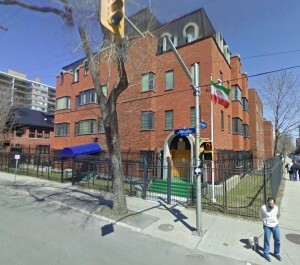 The lawyers representing the family have had difficulty collecting the money though due to the lack of seizable Iranian assets in the U.S., which has led to them turning their attention to Iranian assets in Canada and Canadian courts to enforce the U.S. judgement. The presiding judge in the Canadian case, Justice Beth Allen, said that the plaintiffs made a convincing enough case at first glance to warrant a temporary injunction. No one appeared for Iran at the proceedings as is typical of the initial proceedings of lawsuits in the U.S. against the Iranian government. Justice Allen cited the Justice for Victims of Terrorism Act, legislation recently passed by the Harper government, as providing support for the case that Canadian courts could enforce the U.S. court ruling on Iran. The legislation designates countries on a Canadian list of states that the Foreign Affairs department deems to have “supported terrorism since 1985” as not enjoying the immunity from lawsuits granted by Canada’s State Immunity Act. Iran and Syria are the only countries in the world on the list. The Justice for Victims of Terrorism Act has been criticized by the Canadian Civil Liberties Association (CCLA) for the potential it has to undermine the impartiality of the Canadian justice system by politicizing access to justice. The CCLA has also expressed concern that by granting selective immunity to states, the legislation denies due process and equality before the law for victims of terrorist acts perpetrated by states not on the federal government’s list of states that have supported terrorism.